SOUTH Africaâ€™s Minister of International Relations and Cooperation (DIRCO), Maite Nkoana-Mashabane says they are working to resolve the issues affecting the Beitbridge border post. Protests broke out last Friday against a Zimbabwe government decision to limit the importing of South African goods. Harare imposed strict new import regulations to protect local industry but the restrictions adversely impacted Zimbabwean cross-border traders. The ban included products like bottled water, furniture, building materials, steel products, cereals, potato crisps, and dairy products. 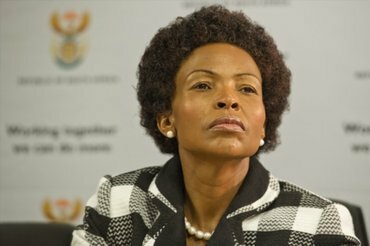 Nkoana-Mashabane said they are doing their best to resolve the impasse. “We would continue to engage Zimbabwe in pursuit of an amicable solution which would be mutually beneficiary. â€œThis does not only affect South Africa and Zimbabwe, but several other countries that use the Beitbridge border post,” she said. The minister added: â€œWe will continue to engage Zimbabwe for a solution that is mutually beneficial. Zimbabwe’s economy has been struggling for years, with many forced to work in the informal sector.